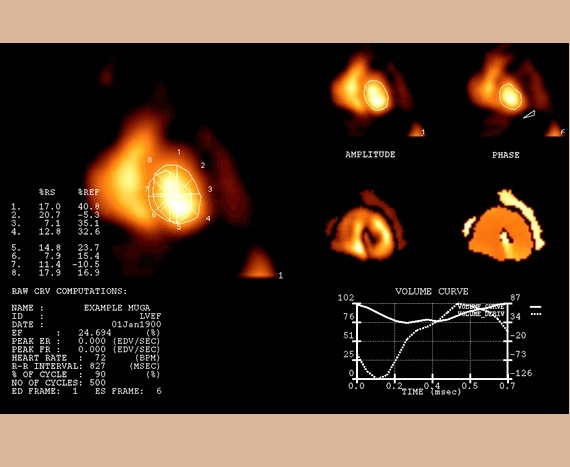 A MUGA (multiple-gated acquisition) scan is a type of nuclear imaging test, which shows how well your heart is pumping. 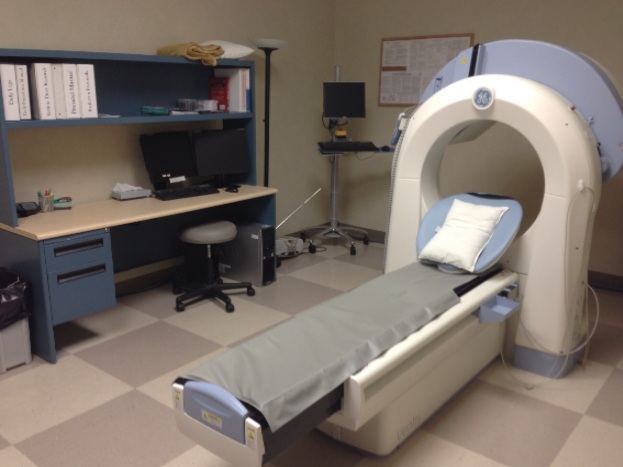 A MUGA scan uses a radioactive tracer and a special camera to take pictures of your heart as it pumps blood and measures how well your heart pumps with every heartbeat. The amount of blood pumped out of the heart during each heartbeat is known as the ejection fraction. For example, an ejection fraction of 60 percent means that 60 percent of the total amount of blood in the left ventricle when it is full is pumped out with each heartbeat. A normal ejection fraction is between 50 and 75 percent.